An independent firm of designers, planners, engineers, consultants and technical specialists. Dr Terry Hill, CBE, is currently Chairman of the Arup Trust. 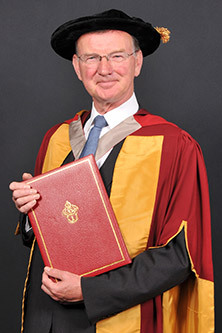 Prior to his current role, Dr Hill was Arup Group Chairman (2004-2009), responsible for the overall strategic direction of the firm, then Chairman - Global Transport Market (2009-2011), focusing on developing the aviation, maritime, rail and highways businesses and ensuring the delivery of the best transport projects to clients throughout the world.